Speaker Paul D. Ryan (R.-Wis.) sent a letter Tuesday to President Barack Obama demanding the president end his program of normalizing the Islamic Republic of Iran and undoing American sanctions on the terrorist-supporting state. We respectfully request that your administration take no further actions designed to bolster international investment in Iran, or otherwise change or alter the existing sanctions regime within international organizations through the use of waivers or through administrative actions to include the issuance of new regulations, general licenses, frequently asked questions, or other guidance. The speaker wrote that he was concerned by media reports filed by reporters traveling with the president in Lima, Peru describing Obama’s ambitions to bolster his arrangement with Iran, specifically how that arrangement supports the Iranian economy. President-elect Donald J. Trump described the president’s arrangement with Iran as one of the worst deals ever made between the United States and another country. Because the president did not call his arrangement a treaty and submit it to the Senate for ratification, it does not have the same weight as a treaty. 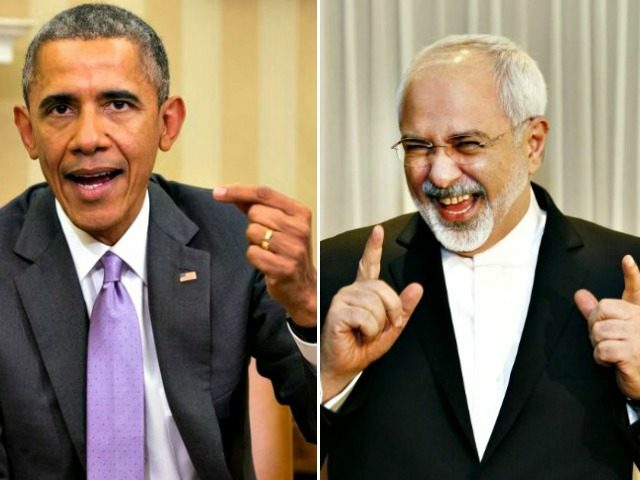 The Iran deal was passed by both houses of Congress and signed by Obama, so Trump cannot simply undo the lifting of sanctions and other measures that are now federal law. Other parts of the arrangement — the ones that are simply executive actions by Obama — can be reversed as soon as Trump becomes president himself Jan. 20. In addition to lifting sanctions on Iran, some of which dated back to the 1979 seizing of the American embassy in Tehran and the subsequent holding of American diplomats for more than 400 days, the arrangement also thawed an estimated $150 billion in Iranian assets held by the federal government. Ryan’s letter comes after the Nov. 15 House passage of the extension of the existing Iranian sanctions for another 10 years. That bill passed the House 419-to-1, with the one Nay coming from libertarian Rep. Thomas Massey (R.-Ky). In his letter to Obama, Ryan urged the president to live up to his Nov. 9 pledge to ensure a smooth transition of power. “President-elect Trump deserves the opportunity to assess United States policy towards Iran without your administration imposing or implementing additional measures that could complicate the incoming administration’s ability to develop its policy,” he wrote.